Posted on February 28, 2012 by Mr. H Posted in Hero's Guide, Other News	. Posted on February 21, 2012 by Mr. H Posted in Hero's Guide	. On May 1st, you will learn that there’s an awful lot you don’t know about Prince Charming. In the first volume of the Hero’s Guide saga, we meet Prince Frederic, Prince Liam, Prince Gustav, and Prince Duncan — better known as the Princes Charming who rescued Cinderella, Sleeping Beauty, Rapunzel, and Snow White, respectively — and find out that these men are far more (or less) than the cardboard cutout heroes we’ve heard tales about. Rejected by their princesses and cast out of their kingdoms, these four men bond over their shared anonymity and band together to battle witches, goblins, trolls, bandits, and giants in order to save each of their kingdoms from a diabolical plot. And by the end, with any luck, they may finally become the real heroes they were always meant to be. 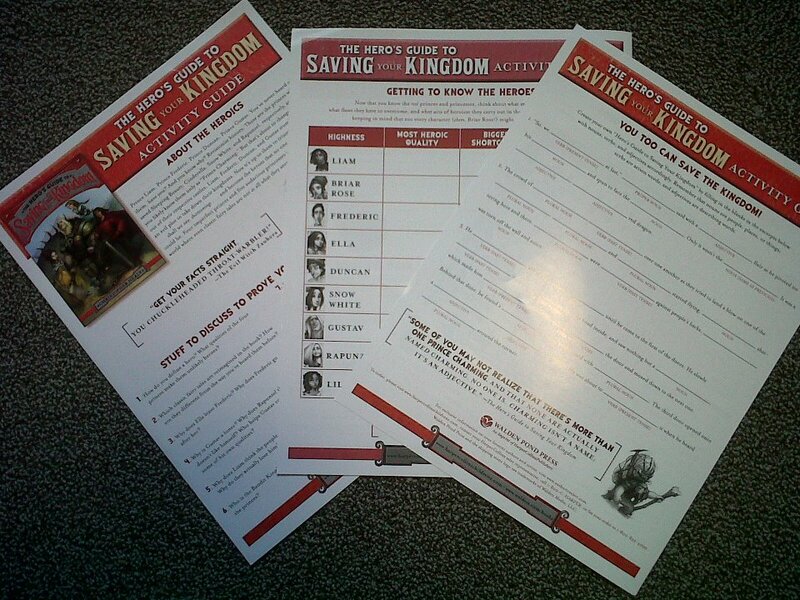 The Hero’s Guide to Saving Your Kingdom will be published on May 1st, 2012 by Walden Pond Press/HarperCollins.